After retiring from civil service at MCAS Cherry Point, Heber Guthrie did not retire. He simply became a civil servant for Carteret County Schools and their students. On Wednesday, April 25, he was honored as the East Carteret High School 2017-2018 School Bus Driver of the Year. Award recipients are chosen by a vote of their peers. Guthrie also received the award for the 2014 – 2015 academic year. At 6’5”, he towers over the other drivers, many who are female. One of the drivers noted one of the many things he does to help his colleagues in addition to seeking ways to keep students motivated about learning. When the buses are parked, students and school personnel can observe him visiting each one to clean their side mirrors. The other drivers would need a step ladder to reach them. Guthrie is a fixture at the Oriental Rotary Club Annual In-Water Boat Show. 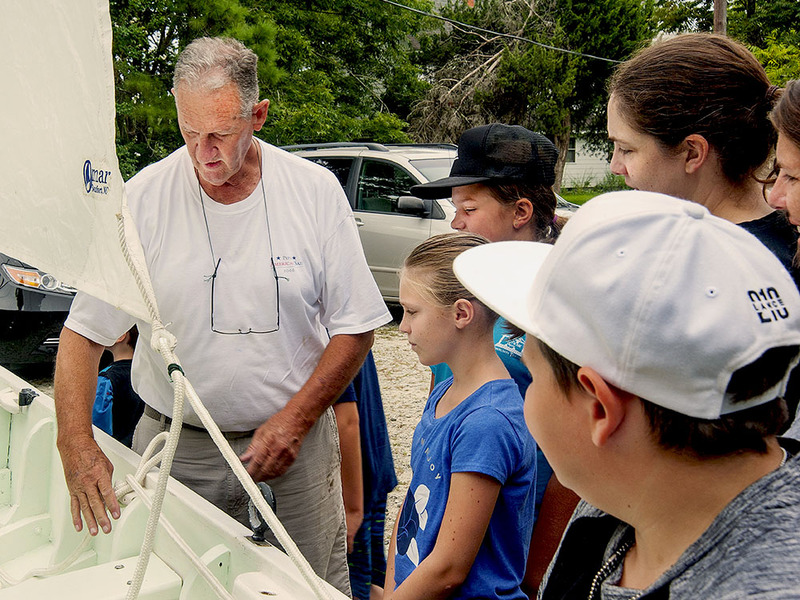 He shares the heritage of DownEast rack-of-the-eye wooden boat building traditions not only at the boat show, but also with students at DownEast Middle School in Smyrna and in other special programs sponsored by the NC Coastal Heritage Association. Just as NCCHA was in its infancy, DownEast parents approached the veteran civic leader with a plea for him to develop summer programs for young people idled by the decline in commercial fishing. Having once worked after school and during the summers in family fishing operations, a significant number of the students have ample free time for non-productive activity. Heber Guthrie is a native of Harkers Island. He and his wife, Diane, live in Marshallberg, just across The Straits that separate the island from the mainland. He has 2 grown children, Meredith and Cliff, who also live in Carteret County.